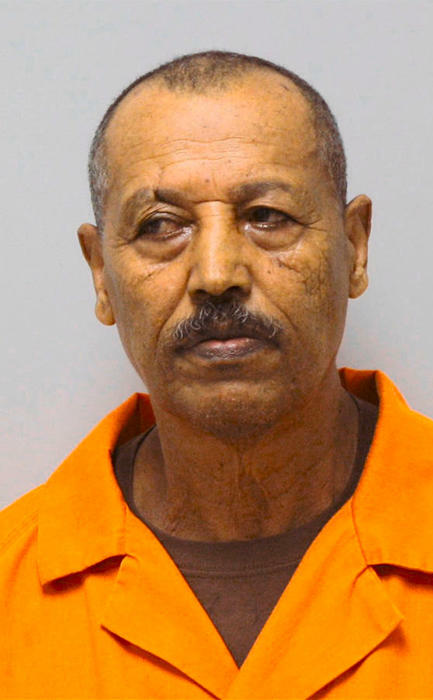 WORTHINGTON, MINNESOTA — Dessalegne F. Desta, 61, entered not guilty pleas in Nobles County District Court during his arraignment Monday afternoon. Desta is charged with five felonies, including two counts of first-degree attempted murder and three counts of first-degree assault causing great bodily harm, following an alleged attack on his wife and daughter in May. According to court documents, Desta is accused of attacking both his wife and underage daughter with a hammer, striking both women in the head. Desta admitted to authorities he had struck both women. Desta allegedly attacked his wife following an argument over her decision to travel to Ethiopia without telling him. Desta told officers he was upset with her because he thought she was having an extramarital affair although he had no evidence to support his assertion. Likewise, he told officers he attacked his daughter because she was defending her mother. The daughter received multiple skull fractures and suffered a seizure, which resulted in loss of motor function in part of her body. Desta’s wife was also treated for a skull fracture. At Monday’s hearing, the Nobles County Attorney’s office requested an upward departure from the sentencing guidelines due to the severe nature of the case. Desta’s counsel argued that a departure from guidelines would be inappropriate. The defense noted that in order to warrant an upward departure, it would need to be proven that the case is more serious than a typical assault case, stating, “Any assault by nature inflicts pain.” It was also stated that Desta is remorseful for his actions. Judge Gordon Moore listened to both parties and took the matter under advisement. Moore previously denied the defense’s request to dismiss the case. Court administration will set the matter for a five-day jury trial. If convicted, attempted murder carries a penalty of up to 20 years imprisonment. The remaining three felony counts of first-degree assault each carry a sentence of no less than one year plus one day or more than 20 years, a $30,000 fine or both.